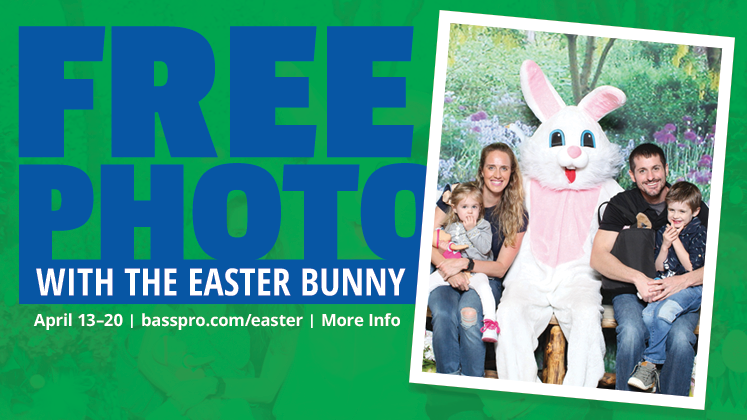 Free 4x6 Photo with the Easter Bunny! Get a FREE Stress Bunny or a FREE Plush Bunny to the first 75 kids to have their photo taken April 15-18 5:30pm-7:30pm ONLY! FREE Gift Bag! Starting at 11am! 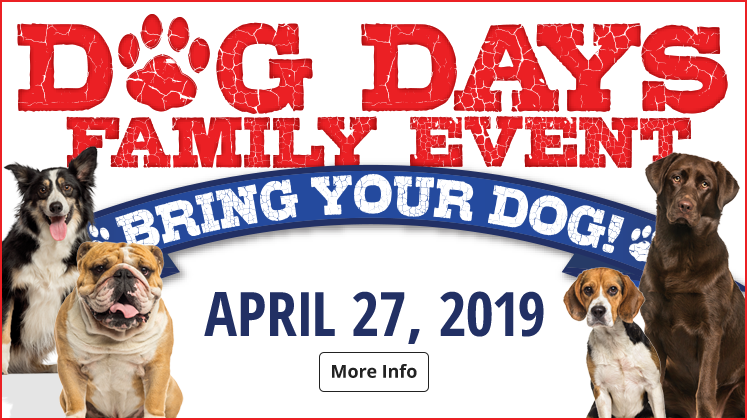 To the first 100 dogs attending the event. Fire Hydrant shaped bag dispenser and pet treat accessory bag. Enter for a chance to WIN this Great Prize package! Ruff Tough Kennels Dog Kennel 35"x22"x26-1/4"
Ducks Unlimited Pet Crate Cushion 32"x22"x1"
Mud River Ducks Unlimited Uninsulated Dog Kennel Cover 36"x26"x26"
Pets need to be up-to-date on all vaccines, pet- and child friendly, and on a close leash at all times. Pet owners are responsible for their dog's behavior. 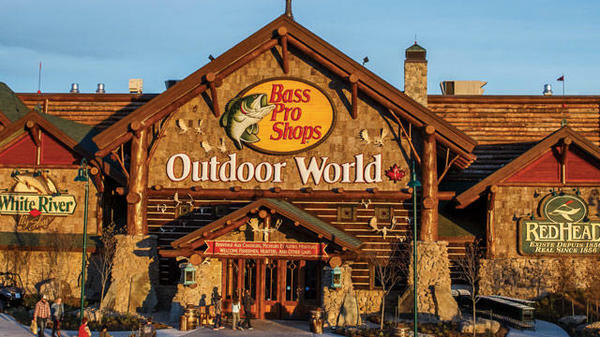 The Bass Pro Shops Outdoor World in Dieppe offers the area’s largest selection of high-quality outdoor gear specifically chosen for the region. Our store is part museum, art gallery, antique store, and aquarium, and a center for conservation education and having fun. Using many area artifacts, antiques, period pictures, record wildlife mounts, and memorabilia, the store becomes a living museum of Canada’s traditions of fishing, boating, hunting, camping and other outdoor legacies. 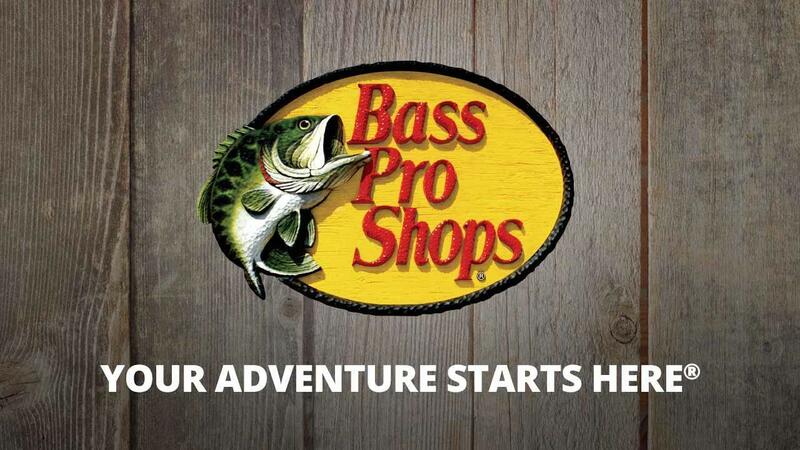 The Dieppe Bass Pro Shops store features a 12,000-gallon freshwater aquarium filled with striped bass, brown bullhead, Atlantic sturgeon, rainbow trout, lake trout, white and yellow perch, and miscellaneous sunfish. This great representation of Hopewell Rocks is the focal point of this outdoor paradise. Our store offers customers an amazing assortment of high-quality apparel and gear featuring top industry brands such as RedHead, Ascend, Oculus, Columbia, Offshore Angler, Browning, Under Armour, and hundreds more. In addition, the store’s 6,000-plus-square-foot boat showroom will feature Mako saltwater boats, Nitro high-performance fishing boats, Sun Tracker and Regency pontoon boats, Tahoe pleasure boats, and Tracker fishing boats. Plus, three service bays will allow the customer to get boats rigged, serviced, and maintained right on the spot.